I have more exciting news for you all! Yesterday the hubs and I went out for my first official outdoor ride of the season, and I survived! In fact, I did better than just survive. I actually did well! No one was more surprised by this than me. I think the hubs was secretly impressed, but he hid it well. I was so happy because I had been terrified of tipping over repeatedly and getting covered in road rash and chain bites. However, as soon as I hopped on it all came back to me. I immediately remembered how to use my gears, which was a big fear of mine. I also did MUCH BETTER at balancing than the last time I rode the bike path. This was likely related to all the practice I have had in spin and on the trainer with relaxing- especially my shoulders, which I have a bad habit of keeping by my ears. It’s amazing how much straighter and more smoothly the bike rides when you aren’t holding it with a death grip… go figure! 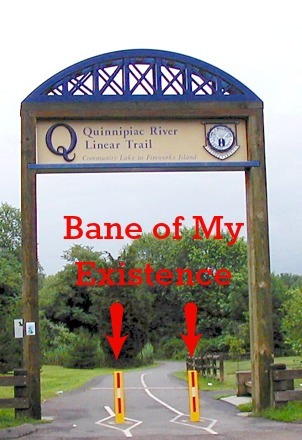 I purposely picked the Cheshire Bike Path (as opposed Lake Waramaug which involves minimal dismounting) so that I would have LOTS of practice unclipping and riding through the lane dividers (aka THE BANE OF MY EXISTENCE) at the intersections. I also thought the good vibes from PR’ing on the bike path on Sunday might carry over and help calm my nerves. That being said, now that I have conquered swimming, I REALLY want to learn to ride my bike like a big girl real cyclist. Unfortunately, that means getting comfortable with stopping and starting. I keep telling myself that if I was able to go from not being able to swim properly at all, and being completely anxious about even getting in the water, then I can conquer cycling too. Furthermore, I don’t want to settle for just being competent at it, I want to get proficient at it. Of all the legs of triathlon, you spend the most time on the bike. It only makes sense to put energy into becoming the best cyclist I can be. Getting over my fear of seriously maiming myself riding is a necessary evil. When I took on swimming, I knew it was essential to achieving my goal of one day finishing an Ironman. As much as I was absolutely terrified, I was also determined. I have never been one to give up on something simply out of fear. To me, that’s just not a good enough reason. I don’t ever want to say I didn’t go after something I truly wanted because I was too scared to give my all. I would rather try and fail. That is what got me through the swimming. I was convinced if I could just stick with it that I could do it. I HAD to do it. I didn’t consider the fact that I still wasn’t comfortable on my bike. All I focused on was the task at hand. Now I am approaching my bike with the same determination. There is no room for fear. It is now or never. I have a roughly 6 week window to get really comfortable on my bike before the REV 3 Half Ironman, and I want to be there. I know in my heart I can cover the distance. I have it in me to do it. If I don’t do it now, I don’t know when I will have another chance. I have already invested over 6 months of training. I have learned to swim and spent countless hours running, spinning, cycling, swimming, and cross training in preparation. That is why I know I will get the hang of this bike, and why I am so thrilled to have survived my first ride unscathed. I am lucky to have the hubs to back me up. He loves cycling the way I love running, so if anyone can help me get to where I need to be it’s him. Oh and since our ride went so well (we did close to 20 miles at a “good pace”- according to the hubs) I signed up for a duathlon this weekend. I figured it may be my only chance to practice transition before June. Plus, it will give me a feel for riding my bike in an actual race. The hubs says I am ready, so I am going to trust him. It’s only a 14 mile bike ride, but it’s in downtown Waterbury. 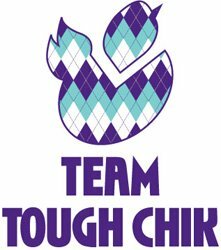 I’m a little nervous about the city riding; but I have been doing well with dismounting so I should be ok.
Good thing I’ll have my Tough Chik gear! I swear it gives me super powers that keep me upright! 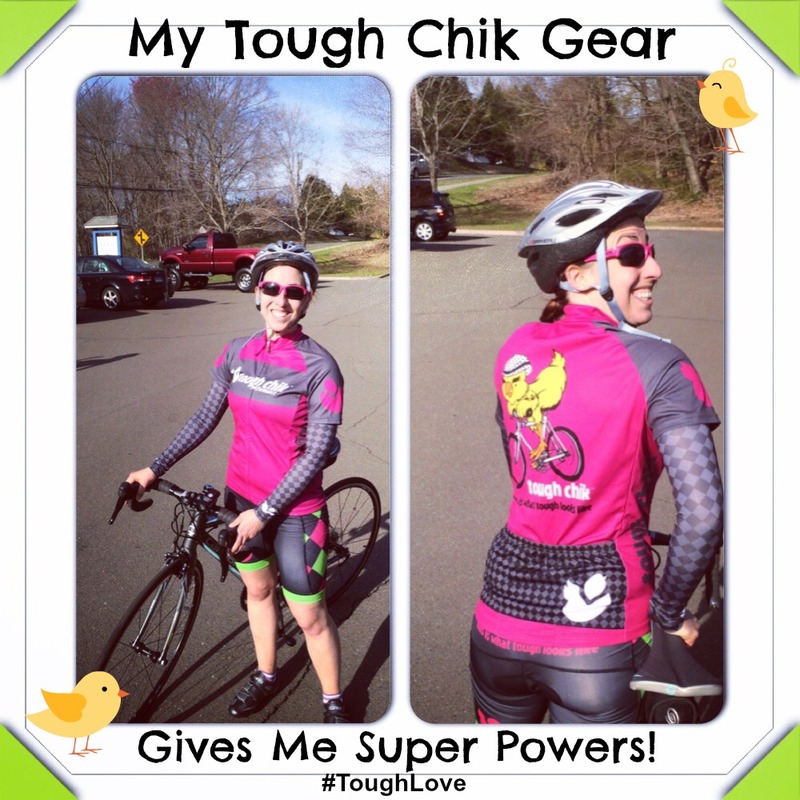 Maybe it’s just the extra boost of confidence that comes with wearing the logo “This is what Tough Looks Like”. What adventures are you all taking on this week? Nice gear and I’m SO HAPPY you had a wonderful experience!! GO YOU!!! XOXO!!! 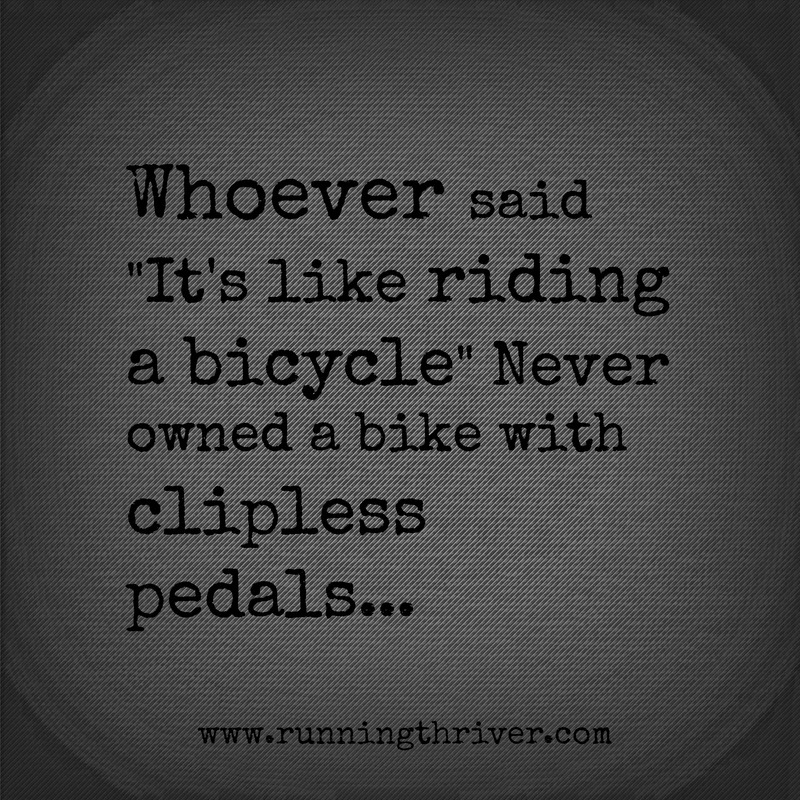 The graphic about clipless pedals cracked me up! Loving the gear. Don’t you ever give your body a rest? hmmm not sure I ever see any evidence of those! Get it Thriver! I am just starting to enjoy riding while clipped in – I feel your pain! is your half? Thanks! I’m glad someone understands, although I have a feeling I’m not alone. The half I wanted to do is the end of this month, but I may look to see if there is one a little further out so I have more time to get comfortable. Hah! When I first started I would check my heart rate monitor and it would shoot up to like, 90% of Max before I had even moved. Just from clipping in one foot. I’m excited for you!